Orthopedic surgeons understand bone and joint health problems are among the most prevalent and debilitating health challenges Americans face. This New Year, the members of the American Academy of Orthopedic Surgeons (AAOS) would like to empower you to do your part to ensure a more healthy and active self: pledge to make their Bone and Joint Health Resolutions part of your lifestyle. * Always cut away from yourself in the kitchen. One slip of the knife can cause a terrible injury. When cutting fruits and vegetables (and especially avocados! ), be sure to cut away from your body and keep your free hand away from the blade. Keep your knife handles dry, your cutting surface secure, and your cutting area well-lit. * Warm up before sporting activities. A good warm up prepares your body for more intense activity by getting your blood flowing, raising muscle temperature, and increasing your breathing rate. Warming up gives your body time to adjust to the demands of exercise. This can improve your performance and help you get the results you want. How long you warm up depends on your fitness level, but if you are new to exercise, your body will respond better with a longer warm up. * Check your vitamin D levels and start supplementation if warranted. Vitamin D is necessary for strong bones and muscles. Without vitamin D, our bodies cannot effectively absorb calcium, which is essential to good bone health. Recent research supports that the body needs at least 1,000 IU per day from diet and/or sunlight for good health. A simple blood test can reveal your vitamin D level. 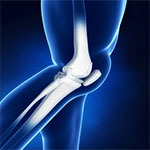 * Keep your bones strong with weight-bearing activities. Everyone needs lifelong weight-bearing exercise to build and maintain healthy bones. Consider any of the following weight-bearing activities each day: brisk walking, jogging and hiking; yard work such as pushing a lawnmower and heavy gardening; team sports such as soccer, baseball and basketball; dancing, step aerobics and climbing; tennis and other racquet sports; skiing, skating, karate and bowling; weight training with free weights or machine.